OOAK Doll Artist - Needle Felt and Polymer Clay. It began the Christmas of 2013 when my husband and I visited our good friends in Elizabeth and Davy in BC Canada, I noticed a cute little doll propped up against a window with a familiar texture. I didn’t know what it was made out of or called but it triggered memories from my past. Besides Needle Felting, I'm also producing hand dye/painted doll hair. I sourced out raw Wensleydale and Teeswater fleece and hand process them to the beautiful end result. 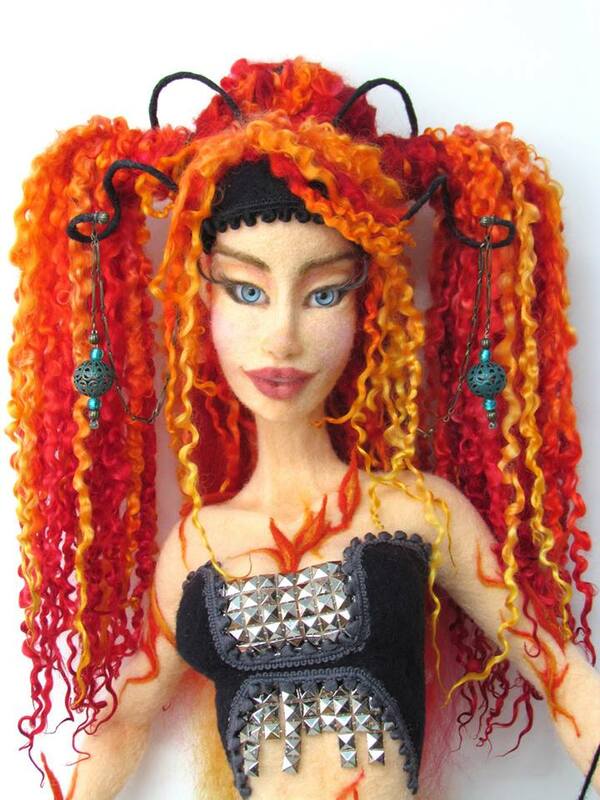 All my fantasy doll hair are OOAK dyed/painted. They are available in my etsy store. As if that's not enough, I'm venturing into the world of BJD.